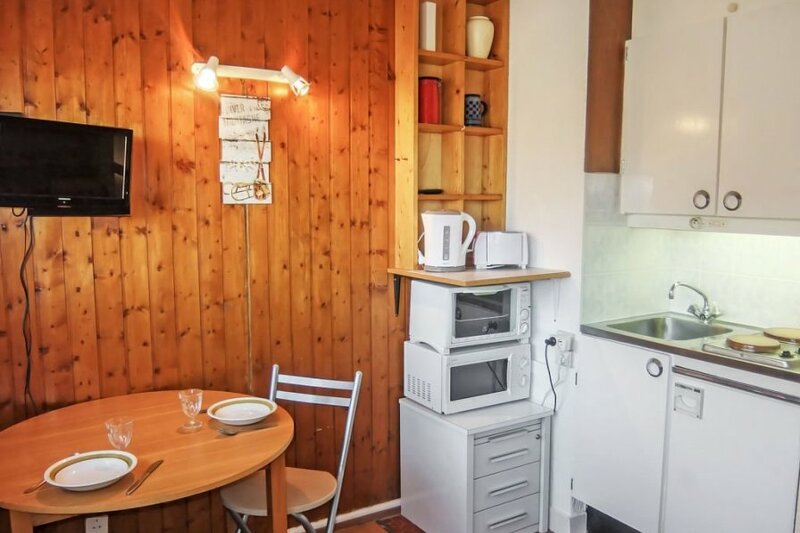 This 1 bedroom apartment is located in Les Belleville and sleeps 2 people. It has WiFi. 1-room studio 15 m2 on 8th floor, north facing position. The residence Brelin is linked to the centre "La Croisette" by a public free lift 24/7 residence "Brelin"
The apartment has free wireless internet. The apartment is adequately equipped: it has a microwave.